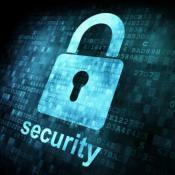 Regardless of size or experience, all businesses should be conscious regarding cyber security. It has become too big of an issue to ignore as cybercriminals continue to learn new ways to breach even the most sophisticated security solutions. Luckily, there are actionable steps you can take to improve internet safety. No business is completely shielded from a cyber attack regardless of how new or complex the security software is. Every business must take a proactive stance to defend their customers. Preventing cyber attacks should be a top priority because all it takes is one breach to ruin a company’s reputation. The solution to preventing attacks is a mix of software, training, and planning with well-envisioned company policies. Modern machine learning software can monitor networks and detect intruders. Employees should be trained on how to steer clear of malware. Also, developing a data backup and recovery plan completes the equation to build strong layers of protection around your assets. October is a National Cyber Security Awareness Month, which is an excellent time for businesses to review your security threats and strategies to counter them. This is especially important as many security breaches are caused by employee error. When employees are not trained against unauthorised access or attack, it opens the door to vulnerabilities, such as using the same passwords for different accounts. It’s also better to use hard-to-read passwords. By using complex alpha-numeric passwords combined with PIN numbers, you will slow down hackers to the point they may give up. Employees must also be advised to be careful clicking anything that is unfamiliar or triggers even the slightest suspicion.